Advanced Flight Theory is the only complete ‘ATPL Theory Centre’ in Australia, New Zealand and the South Pacific Region offering both Full-Time Ground School and Distance Learning Courses for Aeroplane and Helicopter Pilots. Advanced Flight Theory is proud to have Australia’s best ATPL pass rate. Our past and present students are our best advertisement! Passing the ATPL(H) examination is an important step in your aviation career. As specialist ATPL theory instructors, we are well aware of the difficulty most pilots have studying the ATPL(H) syllabus. Not only do many pilots require assistance to revise their Commercial Pilot theory, they also need to have the new concepts in ATPL(H) presented in an easy to understand format. 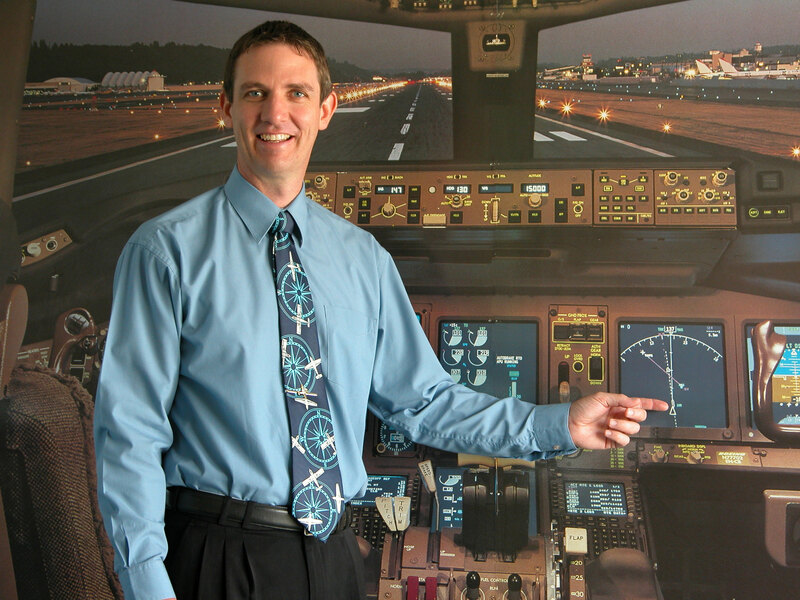 Advanced Flight Theory offers both Full-Time Ground School course and/or Distance Learning Courses. We believe that Full-Time Ground School is the best way to complete your ATPL study. For some pilots the only alternative is to complete the course via Distance Learning. Distance Learning study is a challenge and success requires personal discipline, motivation and dedication on your part and comprehensive backup and constant support on our part. Our freecall phone and email support ensures that you are never left on your own. It should be very encouraging for you to know that with the right approach and commitment, success at first attempt is definitely achievable. Our entire course has been written specifically for the CASA ATPL syllabus. We have sat and passed the CASA exam at the first attempt, so you can be confident the methods we use do work. At Advanced Flight Theory, we are proud of our great reputation for providing the best service possible to all of our students. We are constantly updating our course notes, revision tests and Practice CyberExams so we can guarantee you will receive the most practical and comprehensive theory instruction possible. ATPL(H) theory study will never be easy, however we are confident that with the right attitude and commitment you will be able to achieve this important qualification. Advanced Flight Theory operates an Airservices Supply Shop and can provide the complete range of CASA documents, maps and charts. Flight computers, protractors, WAC rulers and a full range of basic stationery items are also available. Supplies can be purchased on arrival, or by phone or internet order and dispatched to you at any time. There is a considerable amount of information regarding the CASA PEXO Exam system available on the CASA Website. The first information to read is CASA Exams for a general introduction to the system. You can also read CASA exam policies, processes and participants and find out more about CASA PEXO Exams. All ATPL exams are individual examinations. Candidates may choose to sit any number of papers at any particular sitting and be credited with a pass in each examination separately. When all subjects have been passed, a candidate is awarded a pass in the ATPL examination. The pre-qualification requirements for the ATPL is a pass in the Australian CPL(H) theory examination or a CPL(H) Licence. You will be unable to book an examination unless you meet this requirement. It is essential for overseas students to contact the CASA Flight Crew Examination and/or Licencing Sections to confirm they meet this requirement prior to booking their CASA ATPL examinations. The ATPL credit once issued, will remain valid indefinitely. This may be reviewed at a later date. The pass mark for each CASA examination is 70%, except for the Air Law where the pass mark is 80%. Click here for detailed information on examination venues. ASPEQ has a contract for the nationwide delivery of Flight Crew licensing examinations for the Civil Aviation Safety Authority (CASA). ASPEQ is responsible for the booking and delivery of the examinations through a network of examination sites, while CASA is responsible for the provisions of the examinations through their PEXO Exam System. The CASA examination fees are for the PEXO service provided by CASA via their web-based delivery system. The ASPEQ exam delivery fees are charged for each examination subject required. The fee structure is based around the length of the examination subject as this determines the amount of computer time used to deliver the subject. The fees are shown in the table below. If you are attending our Full Time Ground School Classes we have pre-booked CASA PEXO Exam sessions for our students at the end of each subject. If requested, we can book your exam in one of these sessions for you on your first day in class and charge the exams fees to your account. Our pre booked sessions mean you do not need to book your own CASA PEXO Exams for subjects you do in class with us. All CASA Flight Crew Examinations are booked through ASPEQ. In particular, overseas students should note that they must hold a CASA CPL(H) or have a pass in all seven parts of the CASA CPL(H) theory exam to meet pre requisite qualifications for sitting CASA ATPL(H) PEXO Exams. At Advanced Flight Theory, we are very proud of our great reputation for providing the very best service possible to all of our students. Please contact us if you have any questions regarding enrolment or would like to arrange a personalised study program. We can also provide assistance with your accommodation and administrative arrangements. You can contact us on 1800 000 767 and we will be very happy to assist. You can be assured that no problem is too big or too small for us to handle with expertise. For specific questions regarding course content and format, our ATPL(H) course instructor Warren McIvor, will be very pleased to assist. We continue to make every effort to ensure our course is the most practical and comprehensive available. You can call Warren at any time – even after hours on 0407 379 786. We appreciate your comments and input!